The Mazda CX-9... a roomy crossover with more volume behind its first and second rows, and more second and third-row legroom than the Honda Pilot, Toyota Highlander and Acura MDX. 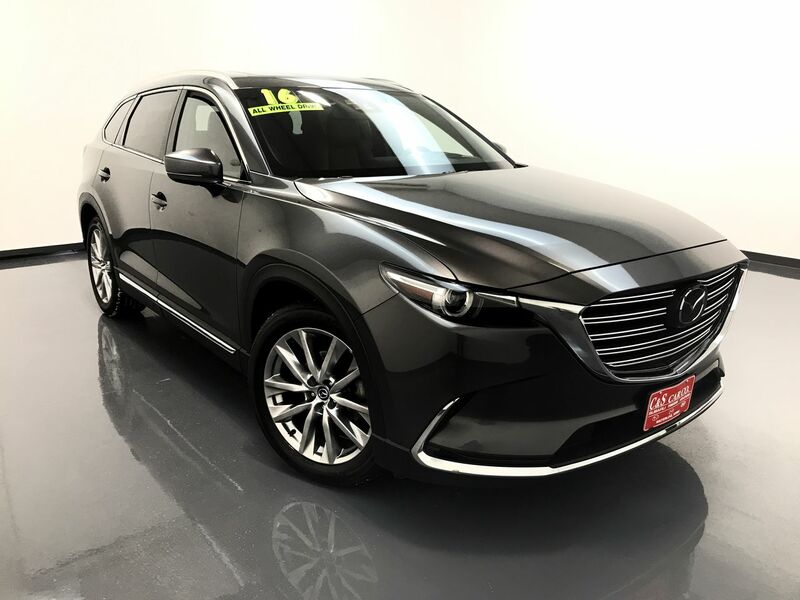 This 2016 CX-9 GRAND TOURING has a leather interior with heated and power assisted front seats, as well as a two person memory for the driver's seating position. There are dual front climate controls, rear heating/cooling controls, keyless entry and ignition, lane change/keep assist, a sunroof, rear side window sunshades, a power rear lift-gate, "head's up" display, and back up sensors with a camera. The infotainment system has navigation, an AM/FM/CD sound system, Bluetooth and Pandora connectivity. There are 20" dark alloy wheels with Falken tires. **One Owner** Call C & S Mazda toll free at 866-212-8718 or locally at 319-291-7321.